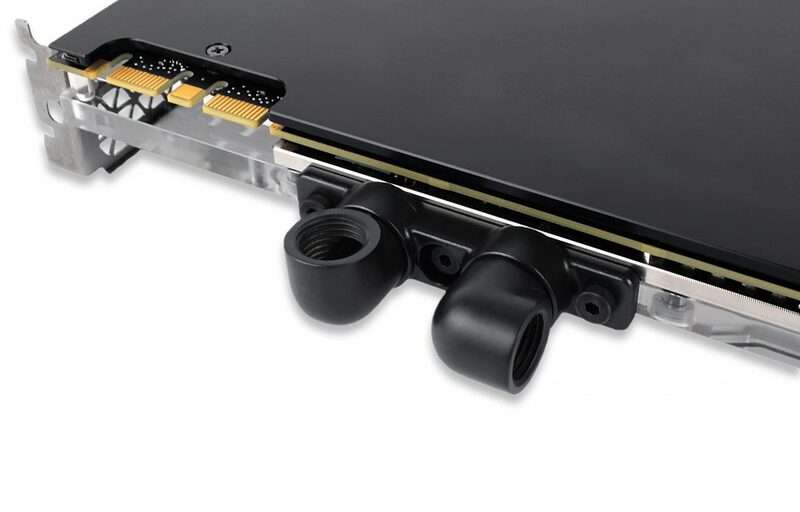 EK Water Blocks, the market leader in high-end liquid cooling for PC products, is releasing a new revolutionary terminal for their Full-Cover GPU water blocks. 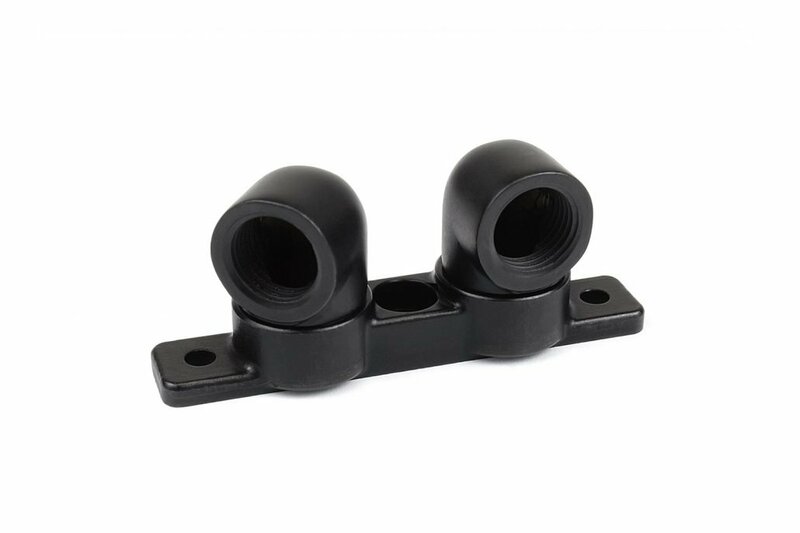 This, all new terminal has two G1/4″ rotating 90° angled adapter fittings strapped to itself. It allows maximum flexibility with no boundaries since both ports allow a rotation of 360° full circle. 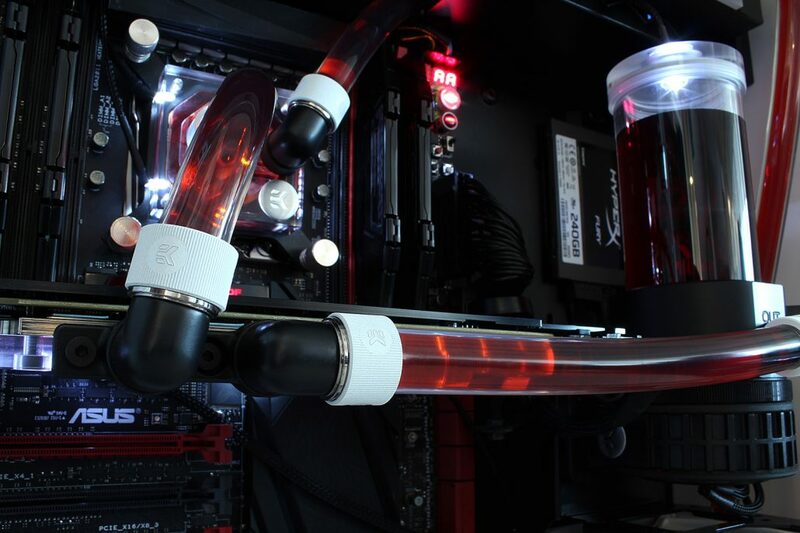 This terminal has an advantage whether you are building a system with hard tubing or soft tubing by letting you chose the desired angle for tube routing. The EK-FC Terminal Rotary 90° terminal is compatible with all of our Full-Cover GPU water blocks as a replacement for the stock terminal. The EK-FC Terminal Rotary 90° is made out of high-quality PTFE-coated forged brass. The black finish blends in beautifully with any build. EK-FC Terminal Rotary 90° – Black used in a custom loop. The EK-FC Terminal Rotary 90° – Black is already available for purchase through EK Webshop and Partner Reseller Network. In the table below you can find the MSR price with VAT included.